Wat is dit voor site? Wij zoeken de goedkoopste boeken op internet. The Plays of Josefina Nigglivonden we het goedkoopst op Bol.com voor €28.99. We hebben gezocht in nieuwe en tweedehands boeken. Rechtsonderaan de pagina kan je het boek direct bestellen	via Bol	.com. 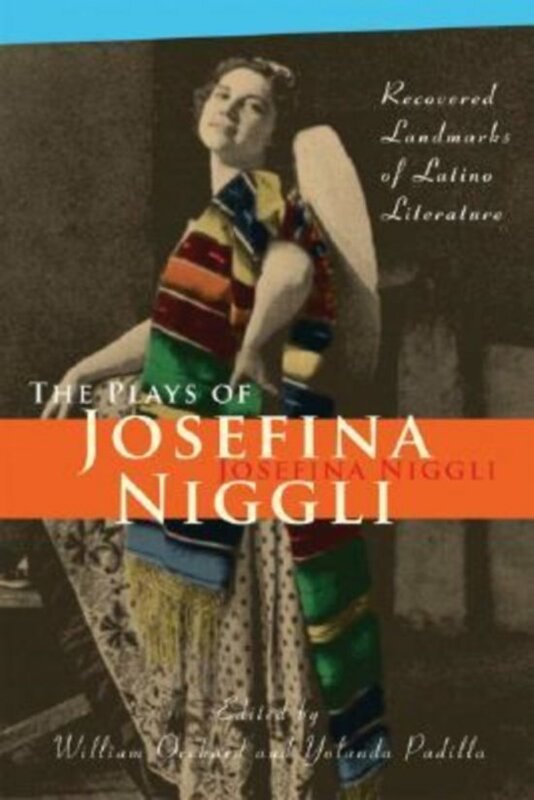 Josefina Niggli (1910–1983) was one of the most successful Mexican American writers of the early twentieth century. Born of European parents and raised in Mexico, she spent most of her adult life in the United States, and in her plays and novels she aimed to portray authentic Mexican experiences for English-speaking audiences. Niggli crossed borders, cultures, and genres, and her life and work prompt interesting questions about race, class, gender, modernity, ethnic and national identity, and the formation of literary canons. Although Niggli is perhaps best known for her fiction and folk plays, this anthology recovers her historical dramas, most of which have been long out of print or were never published. These plays are deeply concerned with the aftermath of the 1910 Mexican Revolution, imagining its implications for Mexico, Mexican Americans, and U.S.-Mexico relations. Included are Mexican Silhouettes (1928), Singing Valley (1936), The Cry of Dolores (1936), The Fair God (1936), Soldadera (1938), This is Villa! (1939), and The Ring of General Macias (1943). These works reflect on the making of history and often portray the Revolution through the lens of women"s experiences. Also included in this volume are an extensive critical introduction to Niggli, a chronology of her life and writings, plus letters and reviews by, to, and about Josefina Niggli. that provide illuminating context for the plays.